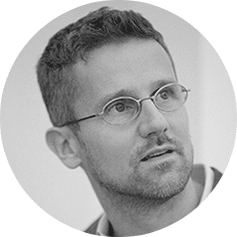 An architect and engineer by training, Carlo Ratti practices in Italy and teaches at the Massachusetts Institute of Technology, where he directs the Senseable City Lab. He graduated from the Politecnico di Torino and the École Nationale des Ponts et Chaussées in Paris, and later earned his MPhil and PhD at the University of Cambridge, UK. Carlo holds several patents and has co-authored over 250 publications. As well as being a regular contributor to the architecture magazine Domus and the Italian newspaper Il Sole 24 Ore, he has written for the BBC, La Stampa, Scientific American and The New York Times. His work has been exhibited worldwide at venues such as the Venice Biennale, the Design Museum Barcelona, the Science Museum in London, GAFTA in San Francisco, MoMA in New York and MAXXI in Rome. Carlo has been featured in Esquire Magazine’s ‘2008 Best & Brightest’ list and in Thames & Hudson’s selection of ‘60 innovators’ shaping our creative future. In 2010 Blueprint Magazine included him as one of the ‘25 People Who Will Change the World of Design’, Forbes listed him as one of the ‘Names You Need To Know’ in 2011 and Fast Company named him as one of the ’50 Most Influential Designers in America’. He was also featured in Wired Magazine’s ‘Smart List 2012: 50 people who will change the world’. At the 2008 World Expo, his Digital Water Pavilion was hailed by TIME Magazine as one of the ‘Best Inventions of the Year’. In 2011, Carlo was awarded the Renzo Piano Foundation prize for ‘New Talents in Architecture’. Carlo has been a presenter at TED (in 2011), program director at the Strelka Institute for Media, Architecture and Design in Moscow, curator of the ‘2012 BMW Guggenheim Pavilion’ in Berlin, and was named ‘Inaugural Innovator in Residence’ by the Queensland Government. The Italian Minister of Culture also named Carlo as a member of the Italian Design Council – an advisory board to the Italian Government that includes 25 leaders of design in Italy. He is currently serving as a member of the World Economic Forum ‘Global Agenda Council for Urban Management’ and is curator of the ‘Future Food District’ pavilion for the 2015 World Expo in Milan.